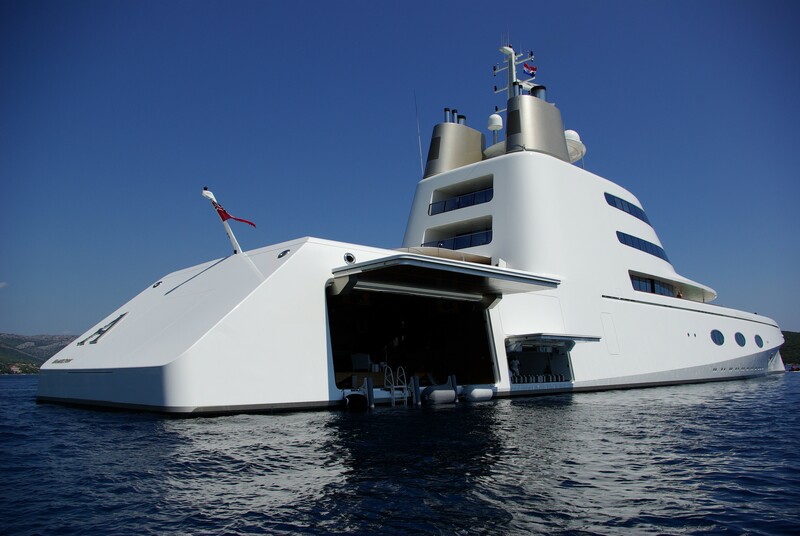 This huge luxury yacht A is a motor yacht. 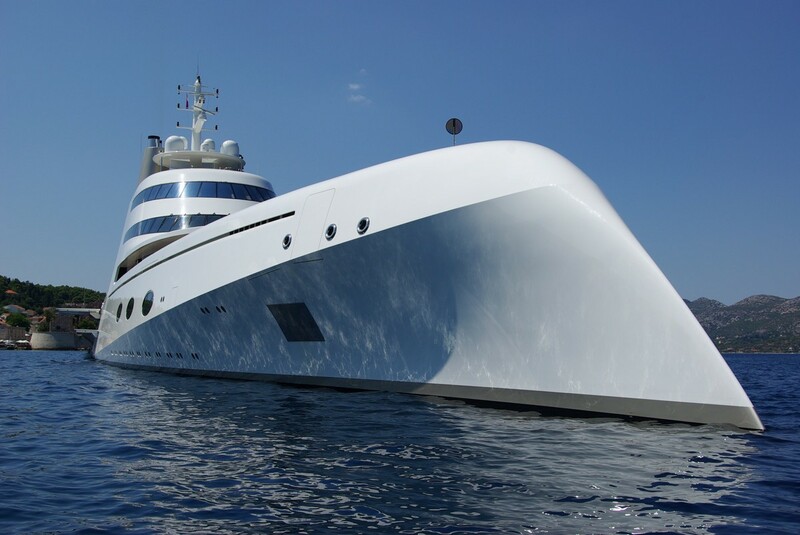 This 119 metre (390 ft) luxury yacht was crafted by Blohm + Voss Shipyards & Services in 2008. A was previously called (Project Sigma) Sf99. 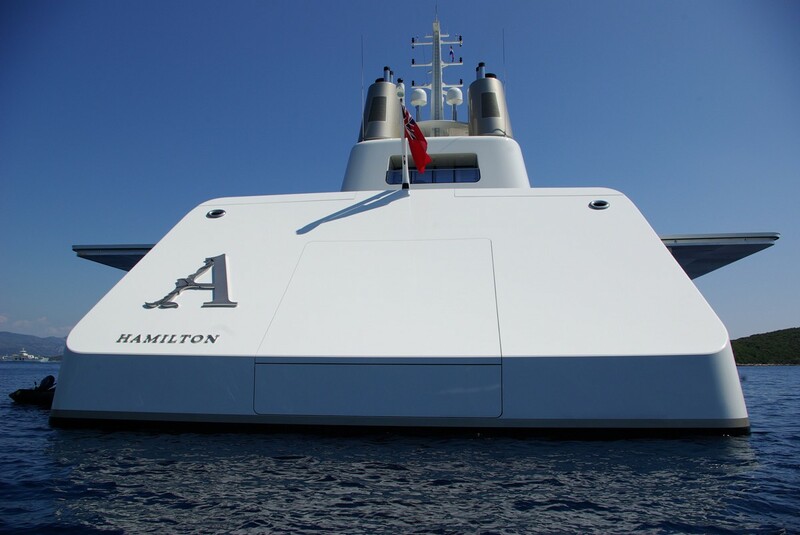 Superyacht A is a stylish yacht that is able to accommodate up to 14 passengers on board and has approximately 42 qualified crew. 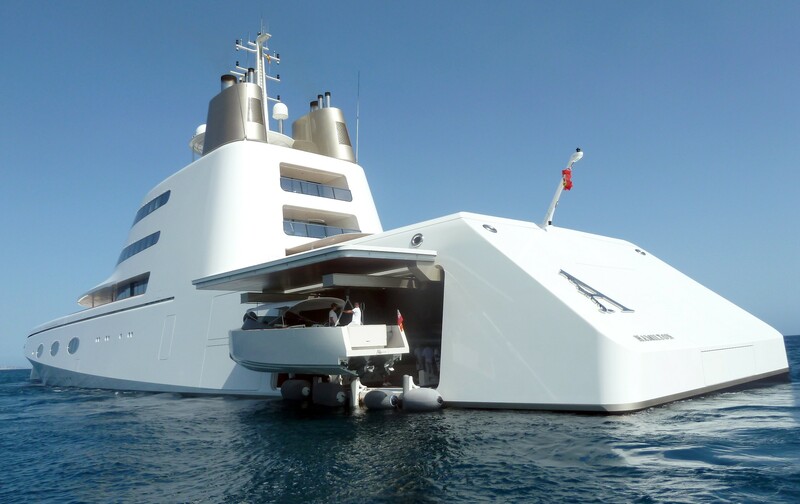 This large motor yacht has a helicopter platform. 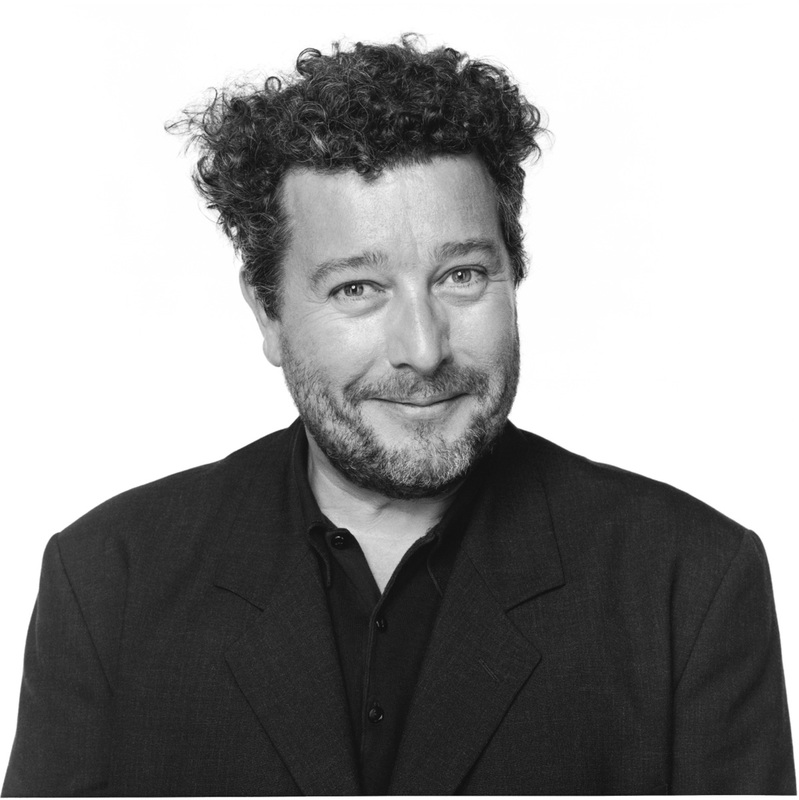 Christened in 2008 her internal styling proffers the perspicacious talents of the design work of Philippe Starck. 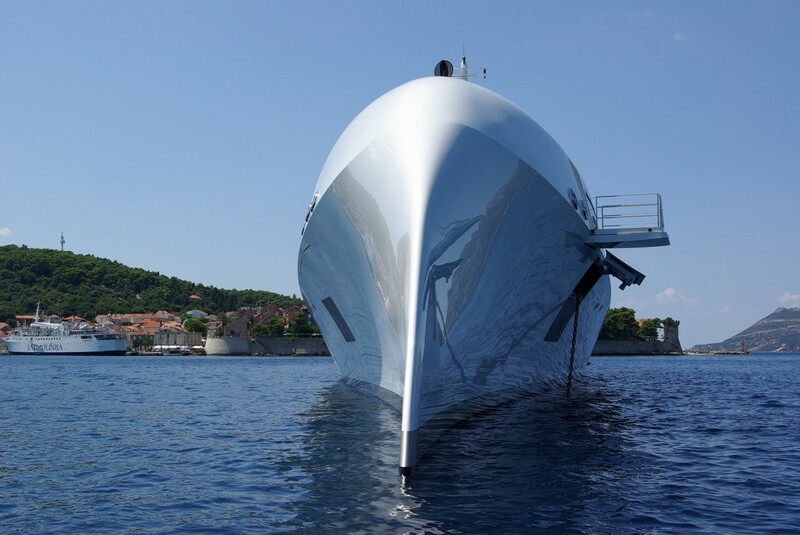 The yacht's wider design collaboration came from Francis Design. The formal naval architect drawings are a creation of Francis Design. 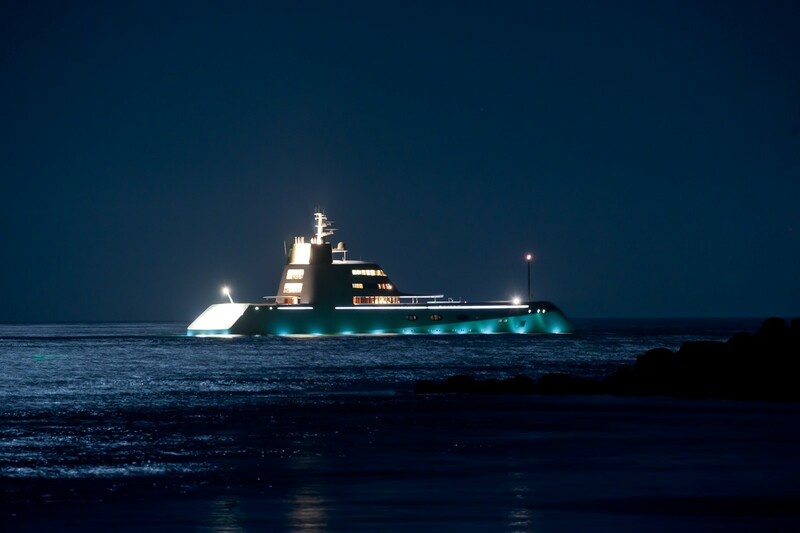 Motor Yacht A received her stylish interior designing from the interior design firm of Philippe Starck. Germany is the country that Blohm + Voss Shipyards & Services built their new build motor yacht in. After the official launch in 2008 in Kiel she was released to the owner after sea trials. A massive feeling is manifested with a total beam (width) of 18.87 metres or 61.91 feet. 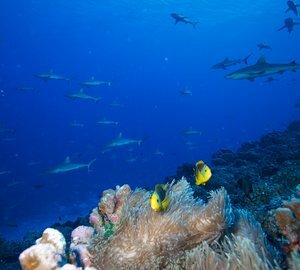 With a 5.15m (16.9ft) draught (maximum depth) she is deep. The material steel was used in the building of the hull of the motor yacht. Her superstructure over the hull is created out of steel. The vessel retains two substantial MAN diesel engine(s) and can manage a exhilarative maximum limit speed of around 23 knots. 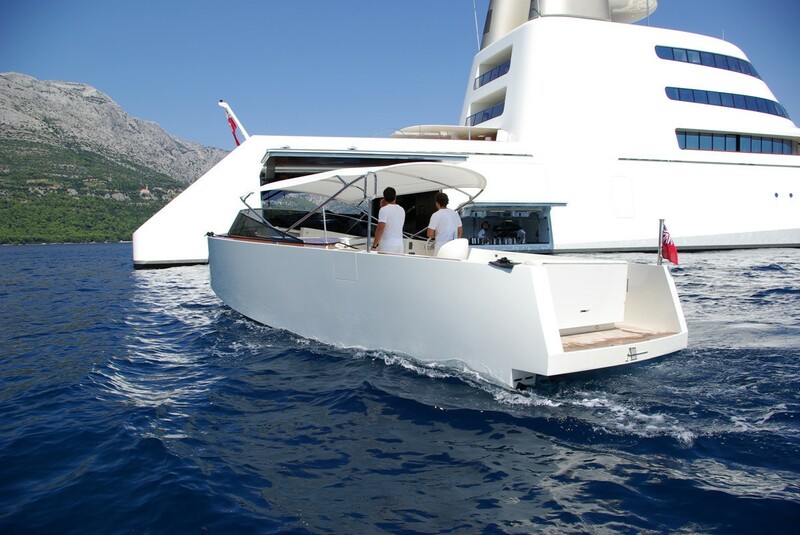 The main engine of the yacht creates 6034 horse power (or M/Y A kilowatts). Her total HP is 12068 HP and her total Kilowatts are 9000. She is driven by twin screw propellers (five blades). With respect to the ship’s stabalisers she was built with Quantum Zero Speed 4 Fin. Concerning thrusters she utilises Brunvoll 2x. 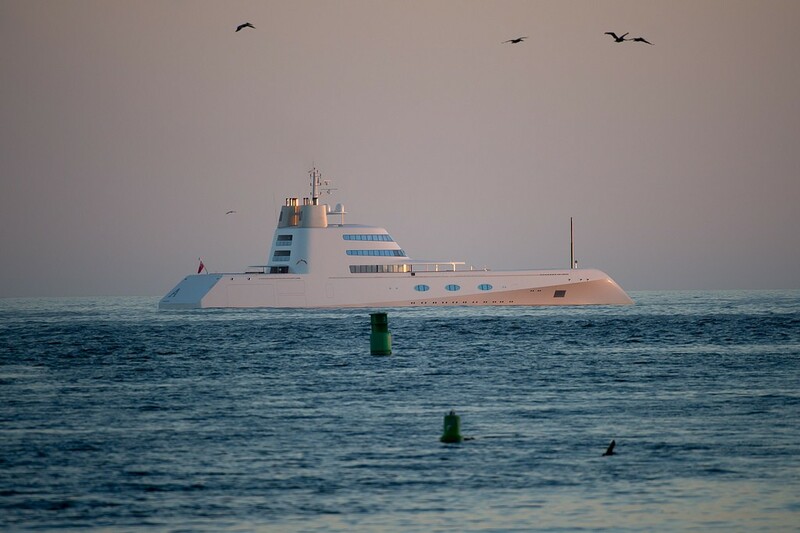 Her convienient cruising speed is 19.5 knots which makes a range of 6500. 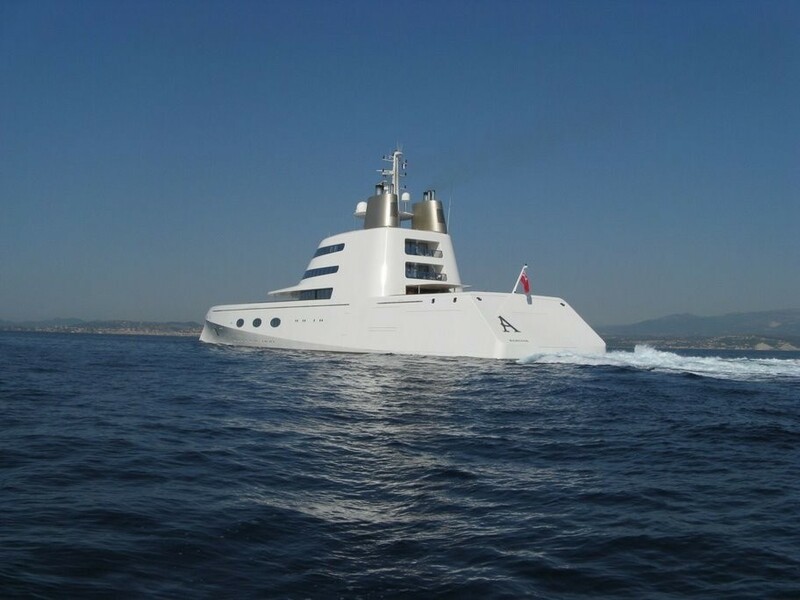 The huge luxury yacht motor yacht A is able to sleep as many as 14 passengers and has 42 professional crew. 119 metres / 390.42 feet. Total engine power output 12068 HP /9000 KW. Cruising at a speed of 19.5 nautical miles per hour. 6500 at a speed of 15.5 knots. Caterpillar 3508b 3 times 960 Kw, 1 times C18 440 kilowatts. Quantum Zero Speed 4 Fin. As she has a heli-pad area on deck this means further support for A. Bitzer X3 is the brand of AC employed to regulate the temperature. A features a teak deck.